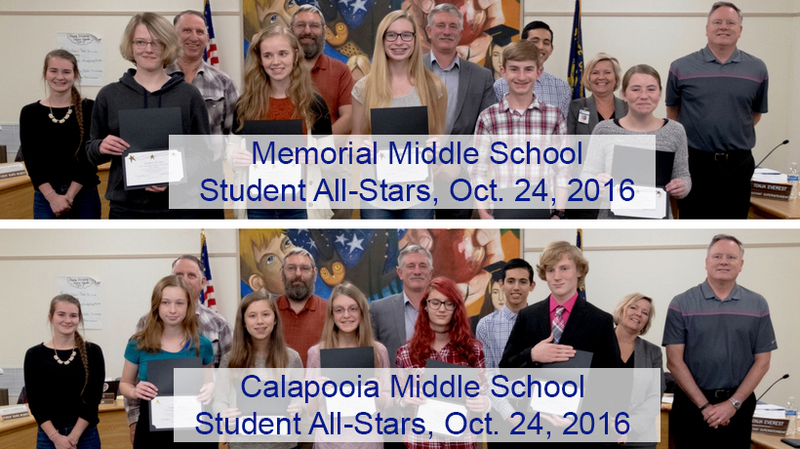 On Monday, the School Board honored Student All-Stars from Memorial and Calapooia middle schools for earning the highest scores on the 2015-16 state assessments in reading, math and science. 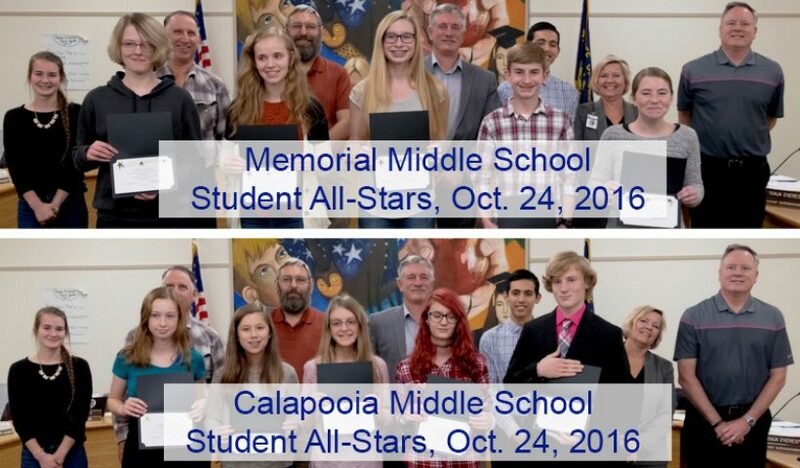 Memorial students (pictured from left) are Kaya Chipman, eighth-grade science; Hannah Thorp, eighth-grade language arts and mathematics; Kenzie Harris, seventh-grade language arts and mathematics; Jackson Moyes, sixth-grade language arts; and Dru Huddleston, sixth-grade mathematics. Calapooia Middle School (pictured from left) are Katelyn Haury, sixth-grade language arts; Sara Remple, sixth-grade math; Liliana Sanders, eighth-grade language arts; Sariah Young, eighth-grade math; and Logan Nord, eighth-grade science. Zachery Patten, seventh-grade math, was unable to attend.